On Wednesday we took little man for his first visit to see Santa. I had been debating it as he didn’t go last year for his first Christmas, but I didn’t want to take him this year just in case he was scared and I ended up wasting money (mean Mummy I know!). In the end my Mum twisted my arm, as were going to take him to see the reindeer anyway so I thought we may as well go whilst we were there. 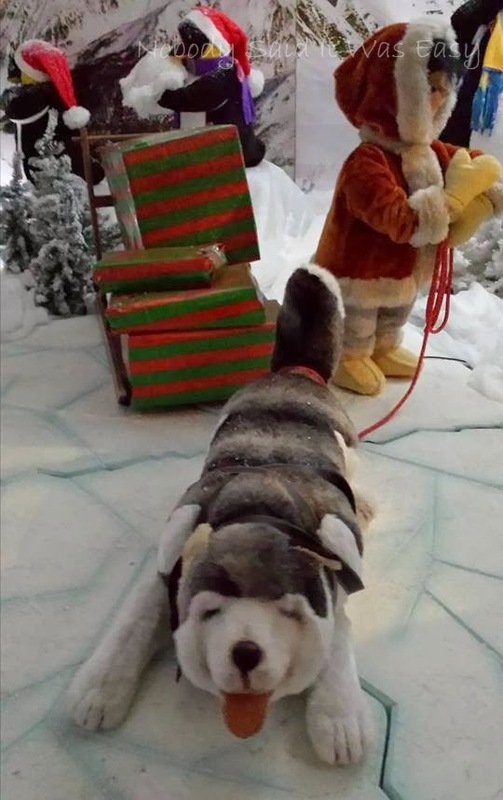 I had seen lots of photos of the Santa and Winter Wonderland at our local garden centre so we took to him that one. 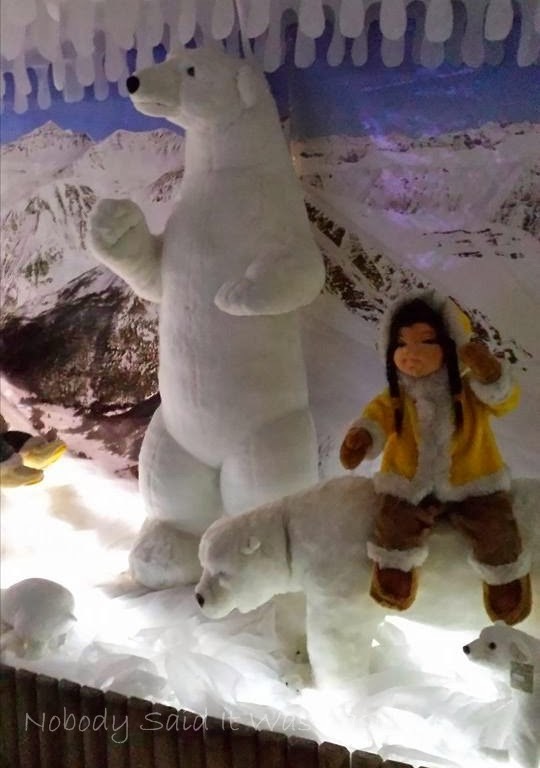 Before we got to his Grotto there was a little winding walkway with animated polar bears, penguins and Eskimos, and then we got to go on a ‘magical’ ride before stopping at the Ice Palace. Personally I loved the polar bears but little man wasn’t so keen, he would barely go near them! I’m glad we arrived at the beginning of opening though as by the time we had made it round to the end, the queue was backed up to the entrance of the walkway and I can’t stand for long nowadays! We then had to wait for our turn on the ride. It’s quite hard to describe, but it was quite surreal. It was supposed to be a sleigh with horses pulling it, but I’m not quite sure if the actual sleigh was moving or the walls to the ‘room’, but it certainly felt like it was the sleigh moving! Little man wasn’t really interested in this, he just wanted to get up & play as usual! 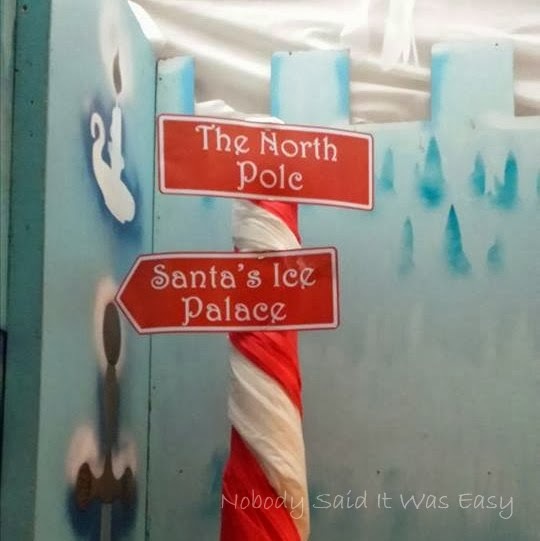 When we arrived at the Ice Palace we were led to Santa’s grotto. We didn’t have to wait long to see him as we went in, in the order we went on the ride and there was only one family in front of us. 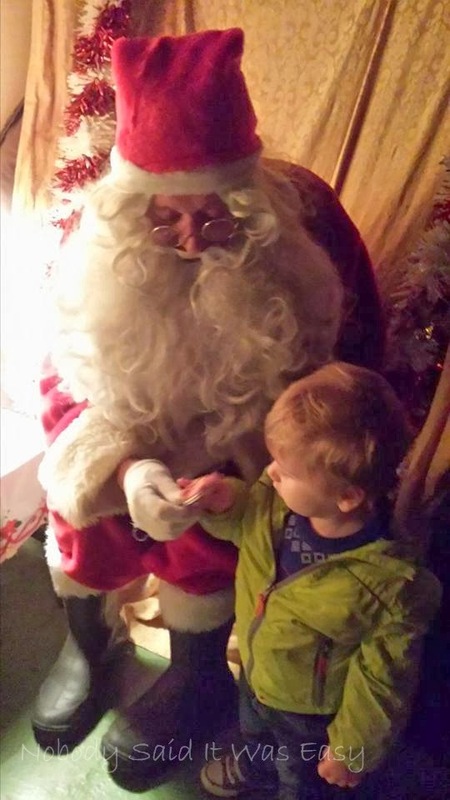 When we went into the grotto, little man didn’t even notice Santa – he was more interested in being his inquisitive self and exploring the grotto! Particularly Santa’s cat and globe (so he can see where all the children are). Santa was asking him questions – how old he was, what he wanted for Christmas etc. but he can’t string that much of a sentence together yet so I was telling him all about him! I obviously wanted to get a photo of him with Santa – he had to bribe him with a chocolate coin for me to do that! It was so cute though. 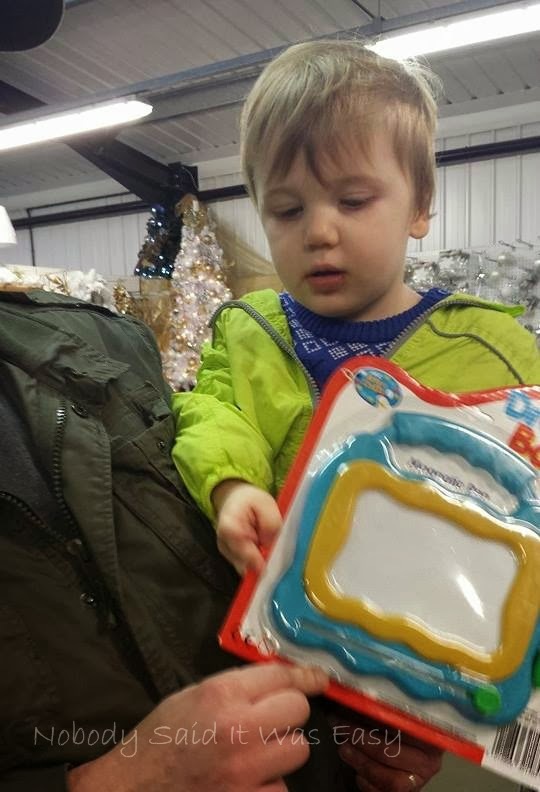 He then said his goodbyes to Santa and he was able to go and choose a toy from his toy shop. I like that they do it in this way, as the child can then choose their own toy and not be disappointed, and there was such a wide range to choose from, for different ages too.